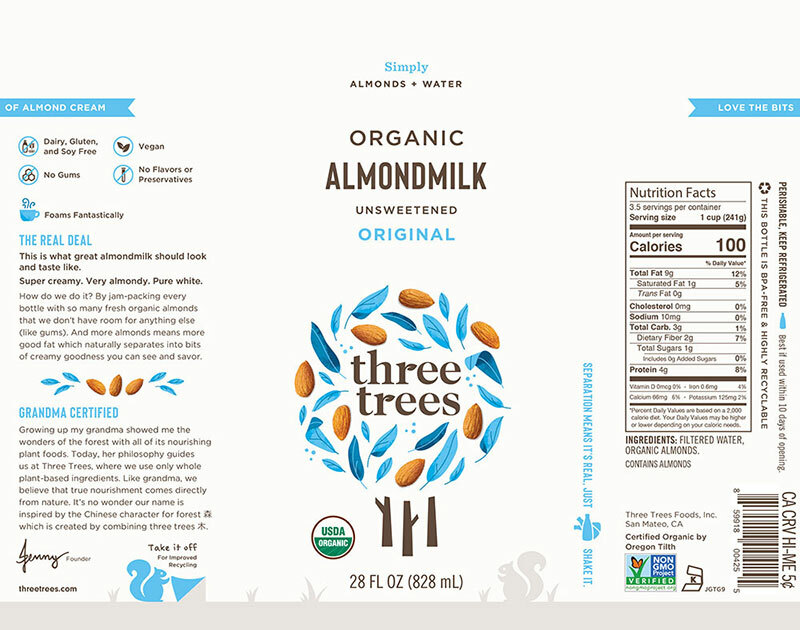 How do you make customers go nuts for your almondmilk? 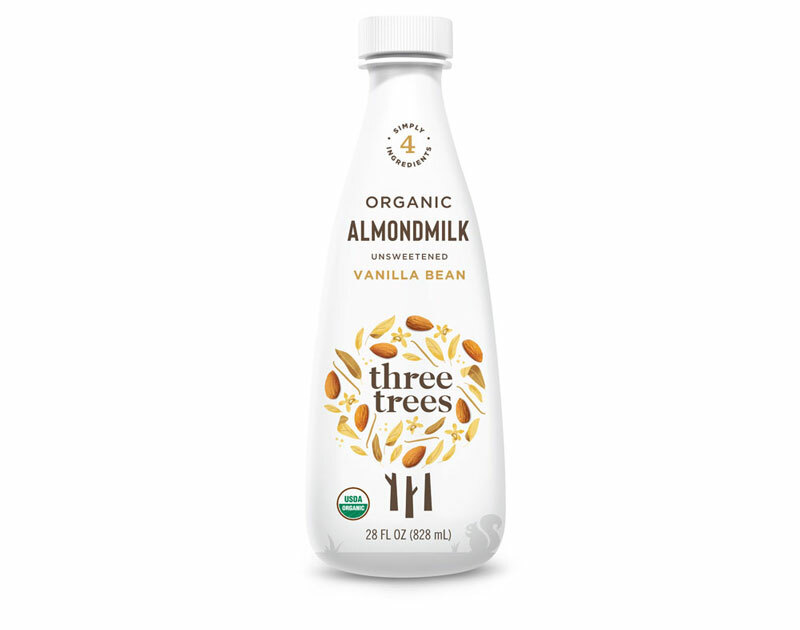 One look at the non-dairy milk section of the grocery store will convince you that almondmilk is a crazy competitive category. Standing out, with both your design and message, is key. Three Trees gave us tons to work with—a creamy, nutritious, great-tasting nutmilk made with just two ingredients: almonds and water. 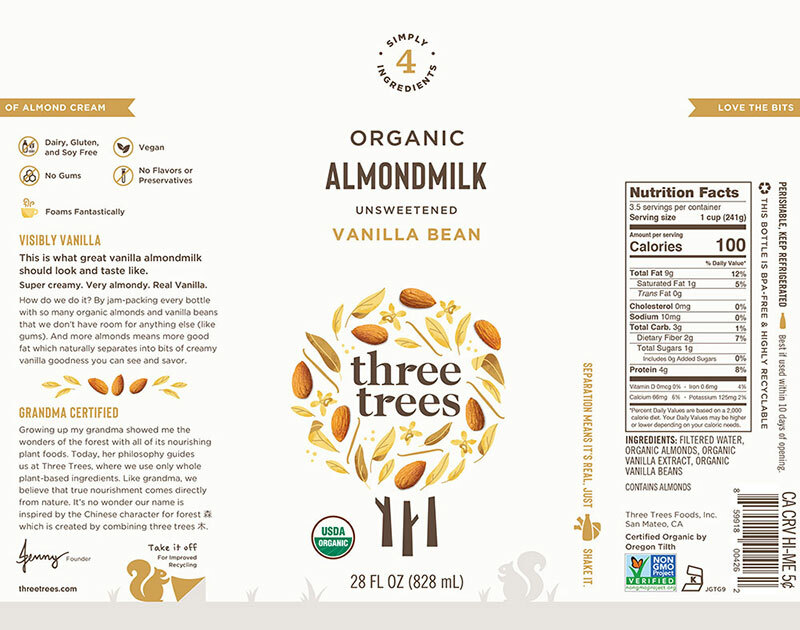 Even when they add flavors like vanilla, they keep the ingredients pure and simple. The founder’s grandmother provided even more inspiration for the brand story on every bottle.